황산, 중국의 코알라 인터내셔널 유스 호스텔 | 호스텔월드에서 예약하세요. There is an internet cafe, lobby cafe, English-speaking staff, washing machine and much graffiti all around. 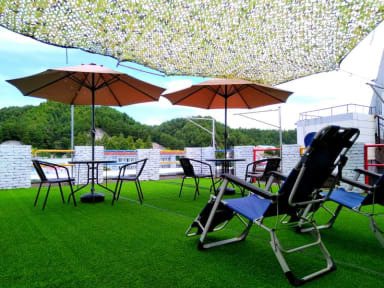 Every morning there's a bus to go to Mountain Huangshan from the gate of the youth hostel,if you would like to stay one night in the moutain, we could book the hotel in the mountain for you, and the price is more cheaper than just booking it by yourself. Giving your suggestions to hike the moutain is our pleasure. we are always ready to help for anything you need, (including bus and trains timetables ), and recommendations on where to go and what to do.We offer 24-hour check-in and security. Please let us know if you have to arrive at a different time. We have individual lockers in the rooms. Combining our outgoing attitude and cozy setting, we manage to create relaxing, home-like atmosphere. 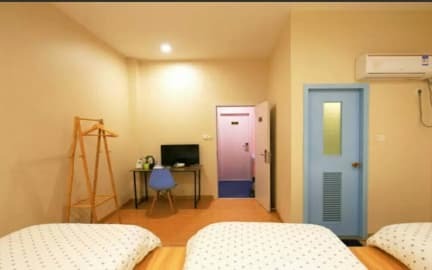 We offer everything you might need during your trip, like restaurants, internet, and laundry service and so on.. Stay as long as you like, we guarantee your stay to be a joyful one. Other information:Mount Huangshan- It is said that you won't want to visit any other mountains after seeing it but you won't wish to see even when you are returning from Mt. Huangshan. This saying may give you some idea of the beauty and uniqueness of Mt. Huangshan. Together with the Yellow River, the Yangtze River and the Great Wall, Mt. Huangshan has become one of the great symbols of China. Mt. Huangshan can boast not only of its magnificence but also its abundant resources and great variety of zoological species, for which it has been listed as a World Natural and Cultural Heritage Site.